Take a closer look at the Dr Martens 1460 Pascal Hearts Boots in Black – a classic silhouette complete with a flirty feminine twist. 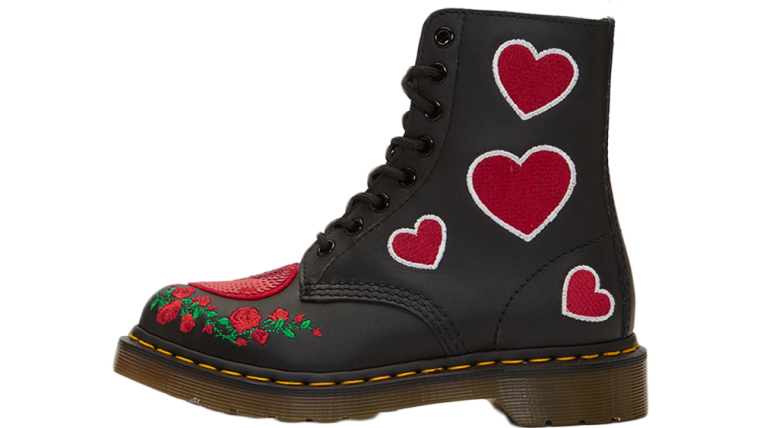 Doc Martens has gone all romantic on us, with this love heart rendition of one of its most popular silhouettes. The 1460 is a classic stomper ankle boot that’ll last you near a lifetime…once you’ve broken them in of course. For this addition to the family, red love hearts with a white trim decorate the outer sidewalls up to the ankle. 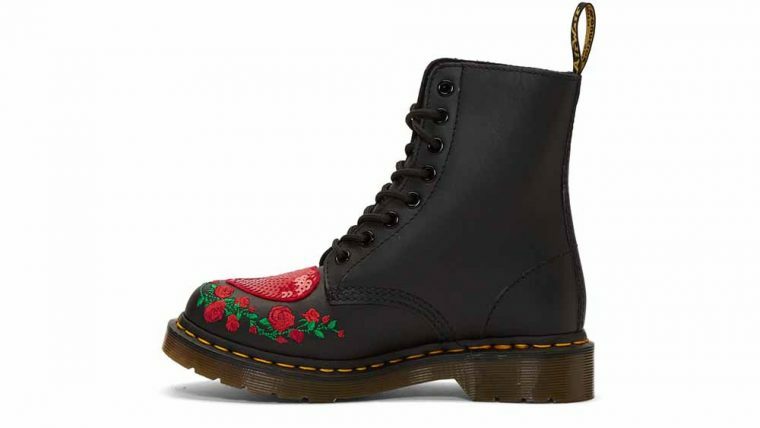 There’s also some feminine red sequins on the toe vamp, with roses completing the romantic vibe of the shoe. While this is a decidedly feminine rendition of the workwear boot, it still maintains the classic features we’re used to in a durable Doc. 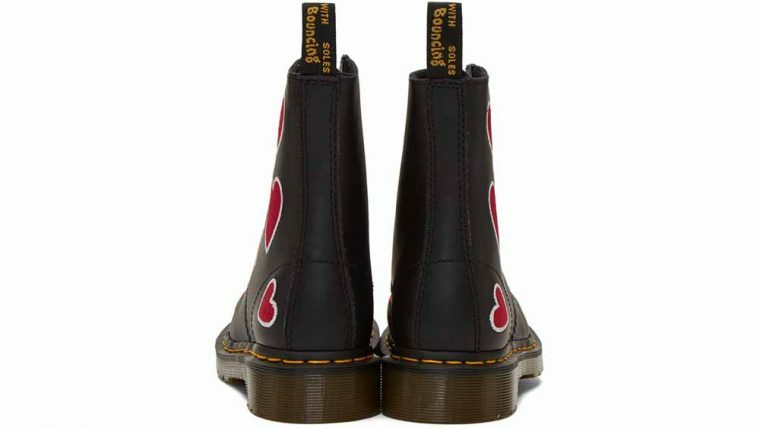 There’s the 8 eye detail going up to the ankle complete with black laces, visible orange/yellow welt and of course, the branded heel tag, and the iconic Dr Martens rubber air-cushioned Sole. 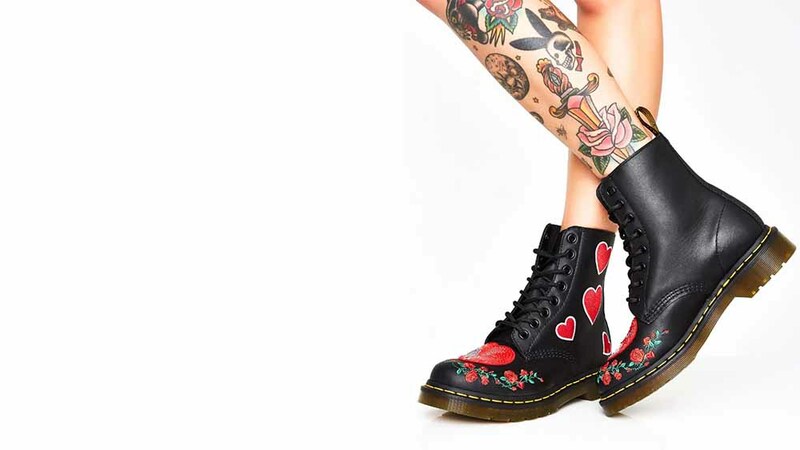 With Docs, you know you’re getting a long lasting, durable shoe. 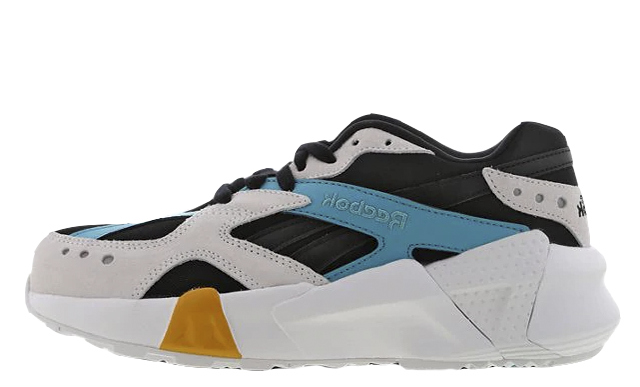 This silhouette is crafter from a full grain black leather, which has been ‘T-buffed” and treated to give extra softness and feel supple on the foot, while the 1.25″ heel means you can walk on (just about) anything! 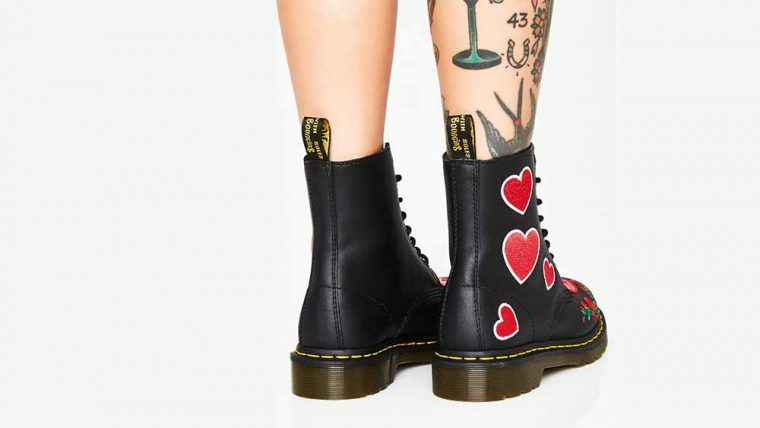 If you’re feeling all loved up by the Valentine’s inspired Dr Martens 1460 Pascal Hearts Boots in Black, check the stockists linked on this page to get your hands on a pair! 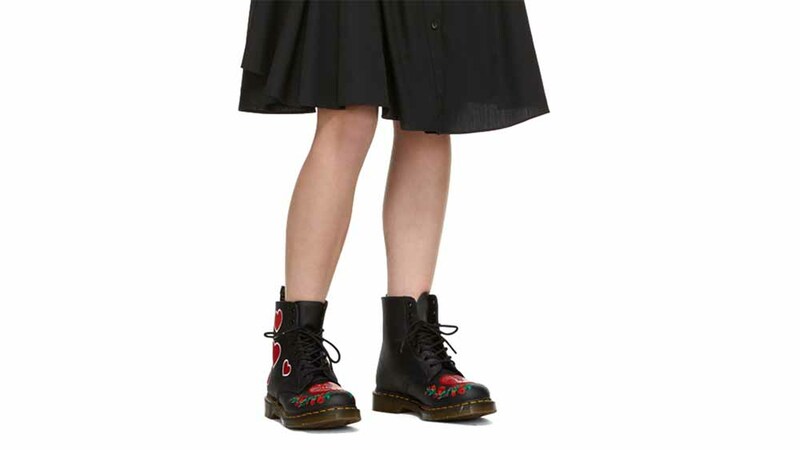 You can find more Women's Dr. Martens Release Dates here!